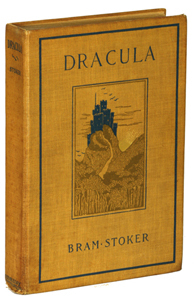 In addition to his novels Bram Stoker also wrote three collections of short stories. Two of them were published while he was alive and the third was published by his wife two years after his death. ‘Once before, I spent some time with the Company in a saloon which was not altogether ideal. ‘Of dogs, and other things. But I had better begin at the beginning. On the previous tour I had out “The Lesson of the Cross”, and as we were out to rake in all the goody-goodies, I thought it best to have an ostensibly moral tone about the whole outfit. So I picked them out on purpose for family reasons. There were with us none but married folk, and no matter how old and ugly the women were, I knew they’d pass muster with the outside crowd that we were catering for. But I did not quite expect what would happen. Every one of them brought children. I wouldn’t have minded so much if they had brought the bigger ones that could have gone on to swell the crowds. I’d have paid their fares for them, too. But they only took babies and little kiddies that needed someone to look after them all the time. The number of young nursemaids and slips of girls from the workhouse and institutions that we had with us you wouldn’t credit. When I got down to the station and saw the train that the Inspector pointed out as my special, I could not believe my eyes. There was hardly a window that hadn’t a baby being held out of it, and the platform was full of old women and children all crowing, laughing, and crying and snapping their fingers and wiping their eyes and waving pocket-handkerchiefs. Somehow the crowd outside had tumbled to it, and it being Sunday afternoon, they kept pouring in and guying the whole outfit. I could do nothing then but get into my own compartment and pull down the blind, and pray that we might get away on time. ‘When we got to Manchester, where we opened, there was the usual Sunday crowd to see the actors. When we came sliding round the curve of the Exchange I looked out, and saw with pleasure the public anxiety to catch the first glimpse of the celebrated “Lesson of the Cross” Company, as they had it well displayed on our bills. But I saw run along all the faces in the line, just as you see a breeze sweep over a cornfield, a look of wonder; and then a white flash as the teeth of every man, woman, and child became open with a grin. I looked back, and there again was that infernal row of babies being dandled in front of the windows. The crowd began to cheer; I waited till they closed round the babies, and then I bolted for my hotel. ‘It was the same thing over and over again all through that tour. Every place at which we arrived or from which we went away had the same crowd; and we went and came in howls of laughter. I wouldn’t have minded so much if it did us any good; but somehow it only disappointed a lot of people who came to the play to see the crowd of babies, and wanted their money back when they found they weren’t on. I spoke to some of the Company quietly as to whether they couldn’t manage to send some of the young ‘uns home; but they all told me that domestic arrangements were complete, and that they couldn’t change them. The only fun I had was with one young couple who I knew were only just married. They had with them a little girl about three years old, whom they had dressed up as a boy. When I remonstrated with them they frankly told me that as all the others had children with them they thought it would look too conspicuous without, and so they had hired the child from a poor relation, and were responsible for it for the tour. This made me laugh, and I could say no more. Dracula. Godzilla. Bela Lugosi. Orson Welles. And Bond galore! 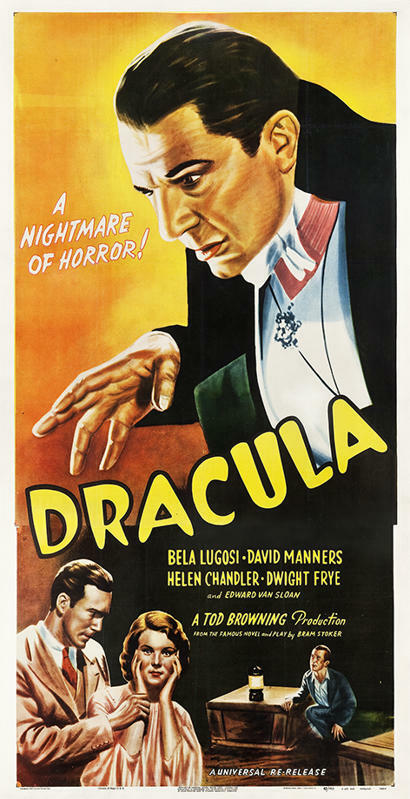 More than 1,200 vintage posters that would send any movie buff into orbit were discovered in an Ohio garage, including the only known copy of an almost 7-foot-tall creation for the 1947 reissue of “Dracula” that could sell for $40,000. ‘Nice cheerful night this; special nice place to be snowed up. So far as I can see, there isn’t a house between the North Sea and the Grampians. There! we’ve done it at last! Stuck for good this time!’ – for the slow movement of the train stopped altogether. The rest of the Company waited in anxious expectancy, and it was with a general sigh of relief that they saw the door on the sheltered side of the saloon open under the vigorous jerk of the Guard: anything was better than the state of uncertainty to which they had been reduced by the slow, spasmodic process of the last two hours. The Guard shook the rough mass of snow from him as he came in and closed the door. ‘Very sorry to tell you, Ladies and Gentlemen, that we’ve come to a stop at last. We’ve been fighting the snow ever since we left Aberdeen, and the driver had hopes we might win on as far as Perth. But these drifts are one too many for us. Here we are till daylight unless we can get some place nigh at hand for ye to shelter.’ The practical mind of the Manager at once grasped a possibility. ‘Why not go back to Aberdeen? We have cleared the road so far, and we should be able to run back over it now.’ The Guard shook his head. ‘Tell the Driver to come here,’ said the Manager. ‘I should like to know exactly how we stand as to possibilities.’ As the door opened for his passing out, the keen blast of icy air which rushed in sent a shiver through the whole Company. They were all too miserable and too anxious to say anything, so the silence was unbroken till the Guard returned with the Engine-Driver, the latter muffled, his black, oily clothes additionally shiny with the running of the melted snow. ‘Where are we?’ asked the Manager. ‘By the authority of the Great North line which I represent. So tak’ ye formal notice that I forbid any fire in the carriage.’ He paused, self-satisfied.